Are you reading The Good Egg and The Bad Seed by Jory John and Pete Oswald? 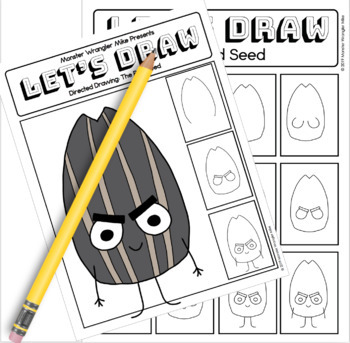 Are you looking for directed drawing activities to increase your students confidence as illustrators? 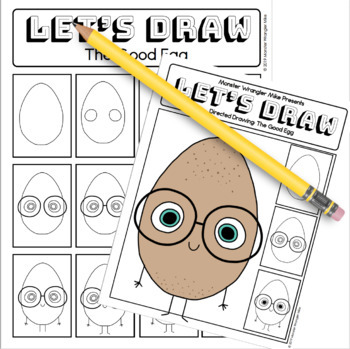 Let's Draw takes you and your students on a step by step drawing process to create drawings of your favorite picture book characters. You'll also get a set of frequently asked questions and answers about directed drawing. 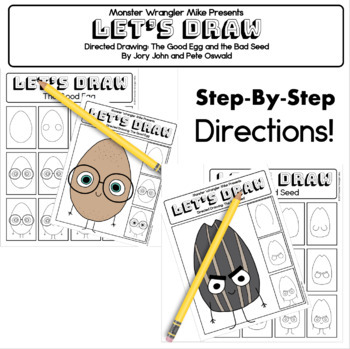 Directed drawings are great for so many reasons: learning shapes, following directions, practicing hand-eye coordination, developing spatial and size awareness, fine-tuning those fine-motor skills, building vocabulary (I say things like parallel lines and intersect), and building confidence as budding artists. I’ve actually done directed drawings with students in grades kindergarten through grade five, and it tackles all the same skills for older students as it does younger students.